When there are countless extensions and numbers to deal with in a business’s phone system, it can be a struggle balancing them all. No matter how logically the system has been implemented, there are and always will be instances where a call cannot be continued on the same device or by the person taking the call. And while call transferring has existed for as long as phone systems themselves, online VoIP software can easily take care of these situations by immediately directing callers to another extension or phone number with just the push of a button or two. 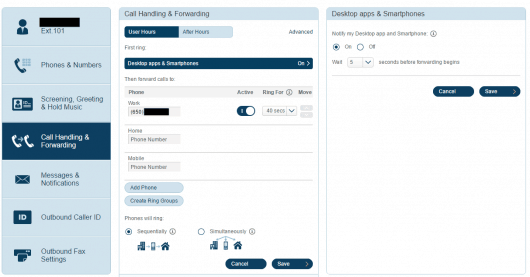 But cloud-based phone systems don’t just make it an easier process, the feature can be used in various ways to really untangle all those extensions. Forwarding an ongoing call to either another extension within the company or any other phone number is ridiculously easy with a cloud phone system. In most cases, all it takes is to put the caller on hold, press a certain button on the device’s keypad, and then enter the required extension or phone number to which the call will be transferred. 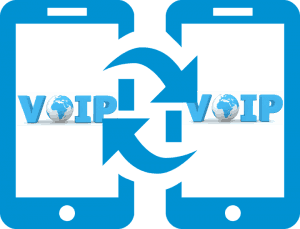 However, more advanced VoIP providers can perform this action without the pausing the call at all, and in certain instances the original receivers are provided the option to explain to the new receivers that they are about to be connected with a caller before the call transfer is completed. However, remember that regardless of the nature of the process it’s important to always ask for the caller’s permission before forwarding the call, during which be sure to explain why the call needs to be directed to another person and who they can turn to if, for some reason, the call is suddenly disconnected. In addition to the traditional manner of call forwarding, virtual phone systems can also transfer calls between different devices. Although this feature – called ‘call flip’ – isn’t available in all VoIP pricing plans except for industry leaders like RingCentral or Vonage, it’s particularly useful for those who need to leave their desks but don’t want to interrupt the ongoing conversation by hanging up or transferring the call to someone else. 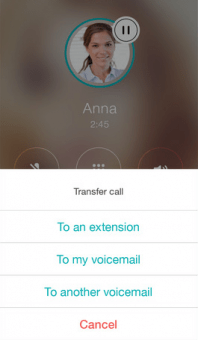 Additionally, flipping a call is just as simple as a regular call transfer; with just the push of a button on another device using the same extension the call will immediately be continued on that device. On the surface call forwarding is quite similar to call transferring since both of these features are used to direct calls to another extension or phone number. But where call transferring always requires human interaction, call forwarding is fully automated and can be used for both incoming and ongoing calls, too. 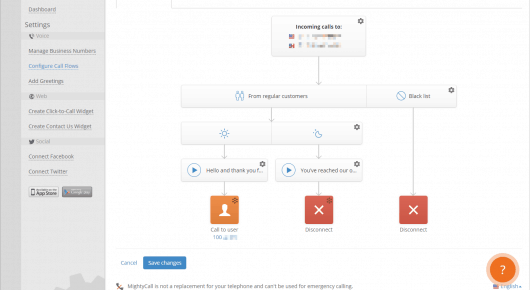 When activated, the chances of missing a call drops to zero because the system will automatically forward calls to any extensions and phone numbers in the call forwarding rule until the call is eventually picked up by someone. Users can also decide whether the numbers included in the call forwarding rule should be called either simultaneously or in a sequential order, as well as specify what the system should do if nobody answers the call. The beauty of VoIP is that many of the features can be used by both the cloud phone system’s users and its callers, and call transferring is one such example of this. However, allowing to callers make use of call transferring is a little different, since the business has to opt for a VoIP provider that comes with fully programmable answering rules and, preferably, an auto-attendant that will greet callers. 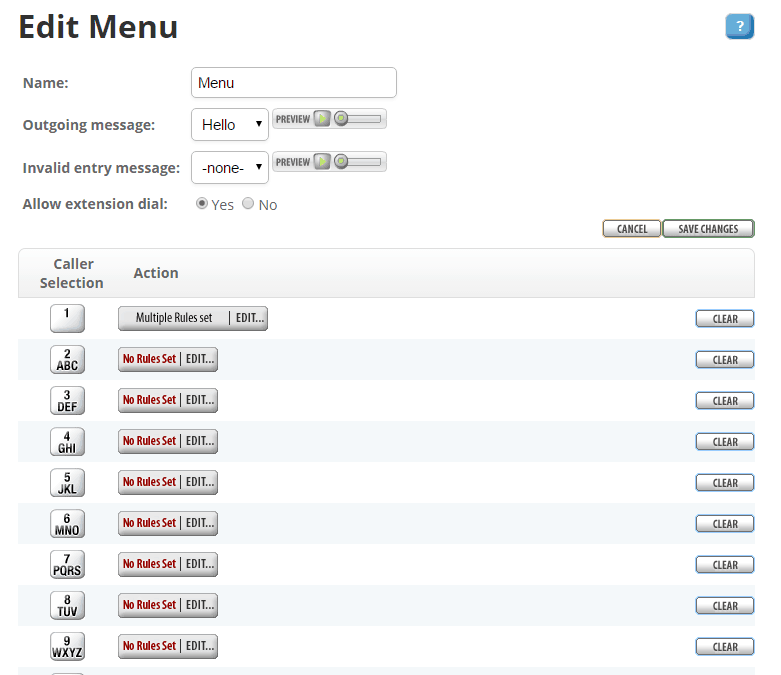 If answering rules are properly programmed – which is an easy task, especially if the system manager provides a visual rule editor – then your clients are given a list of options to help them pick where their call should be transferred, allowing them to ensure that they will get to the right person for their query themselves by simply navigating through an interactive voice response menu.